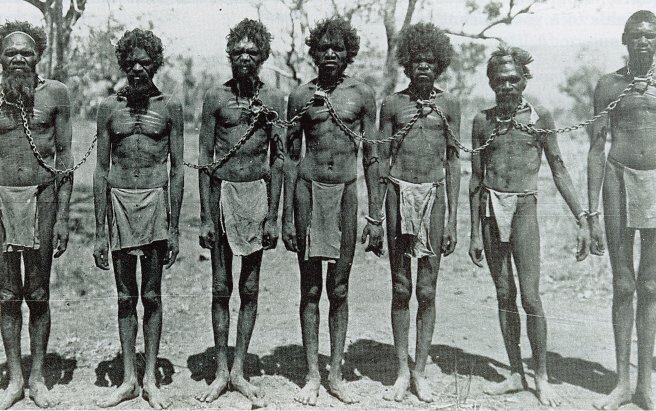 Historical, or intergenerational, trauma amongst Indigenous peoples is the trauma that has arisen as a result of the historical experiences of colonisation (and associated violence and control), forcible removal of children, and loss of culture. As it was not addressed at the time, this trauma (and associated grief) have been passed down unwittingly through the generations by peoples’ behaviours and thought patterns. Today, this trauma is exacerbated by economic and social disadvantage, racism and paternalism, and ongoing grief resulting from multiple bereavements. The failure of governments to tackle historical trauma directly – they just try to manage the symptoms of trauma – is further complicating matters. the self-harm, suicide and risk-taking that occurs when people can find no meaning to their existence and have no sense of purpose for their day-to-day activities. “The psychological impact of the experiences of dispossession, denigration and degradation are beyond description. They strike at the very core of our sense of being and identity… throughout Aboriginal society in this country are seen what can only be described by anyone’s measure as dysfunctional families and communities, whose relationships with each other are very often marked by anger, depression and despair, dissension and divisiveness.